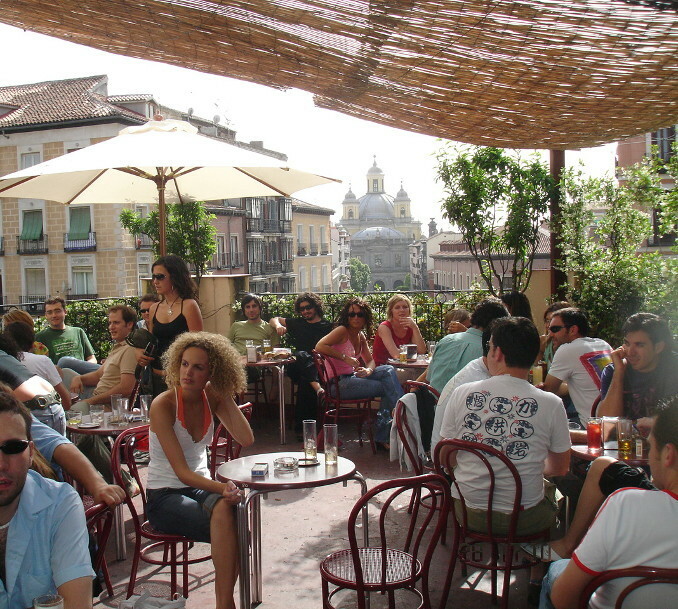 La Latina is Madrid's quintessential neighbourhood for beer on tap, tapas, mojitos and terraces, much to the chagrin of some who live nearby. 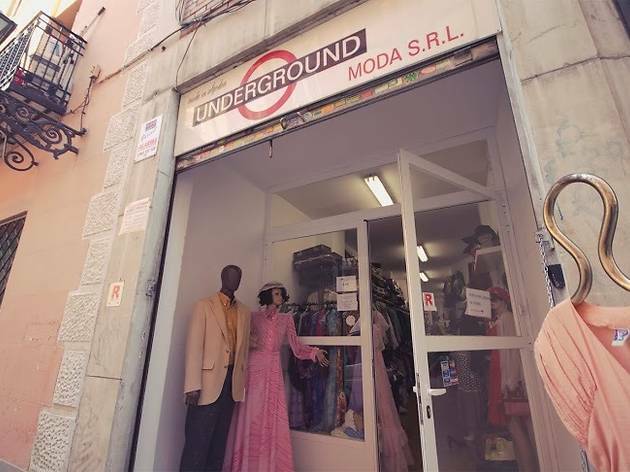 At weekends it's nearly impossibe to find a spot to squeeze into the jam-packed bars and restaurants to get lunch or dinner, although on workdays it's a regular, everyday part of the city, with locals shopping at the Mercado de la Cebada and kids playing in any of the numerous squares. Don't miss having a look at the beautiful churches and basilicas hidden in the narrow streets. 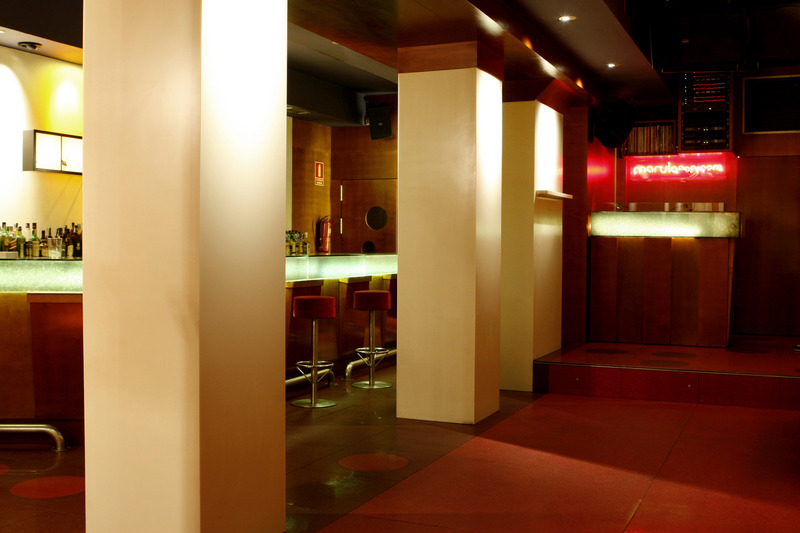 La Latina is synonymous with going out for beers in Madrid. Weekends mean trying to get an elbow in to order at a bar, and booking in advance or arriving early for a table in a restaurant. 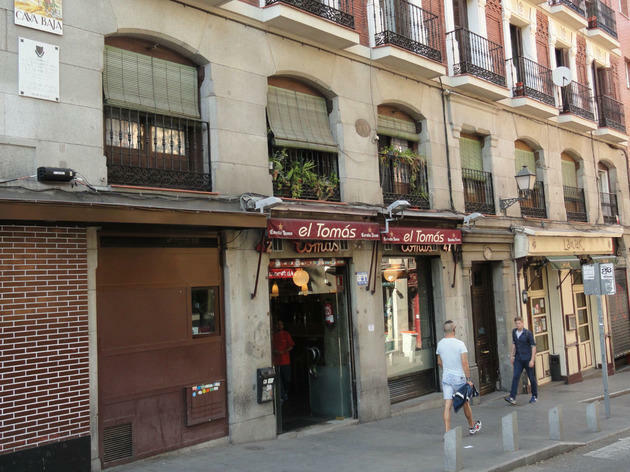 The two main streets that are home to the majority of bars and restaurants are Cava Alta and Cava Baja, where the legendary Casa Lucio is located, made famous for their 'huevos estrellados' (eggs fried and broken up with other tantalising accompaniments, often potato and sausage). 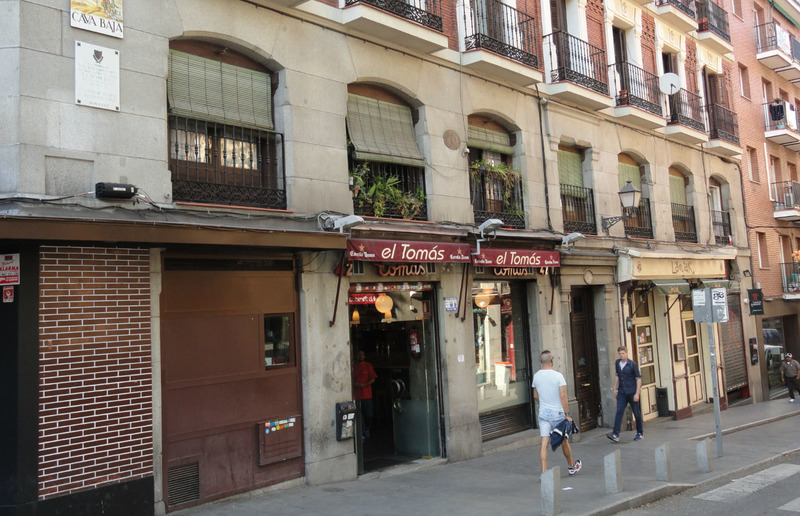 Walking through the barrio in summer you'll find it hard to walk a straight line without bumping into tables and chairs set out on the always-busy terraces. 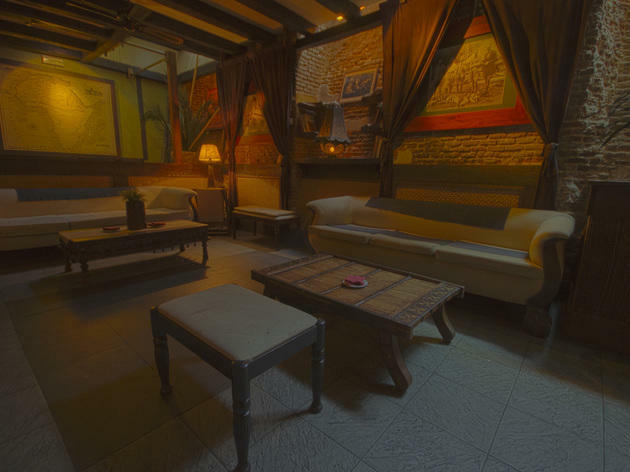 You’ll also find great bars for getting the drinks in, and venues where you can enjoy good music while you're prowling around at night. 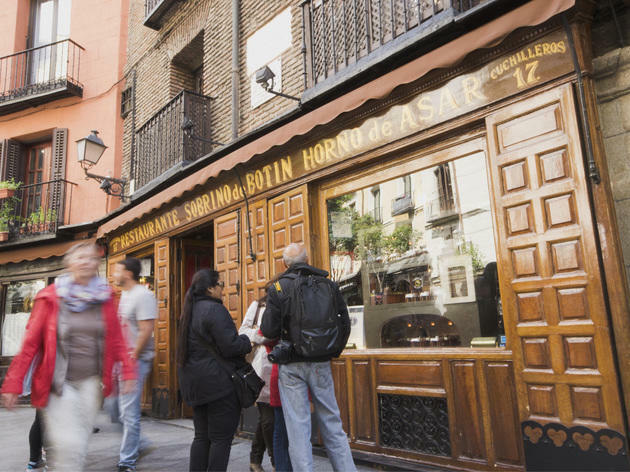 Although in recent years it has become one of the more popular (and expensive) neighbourhoods in Madrid, La Latina is one of the oldest and most traditional areas in the Spanish capital. 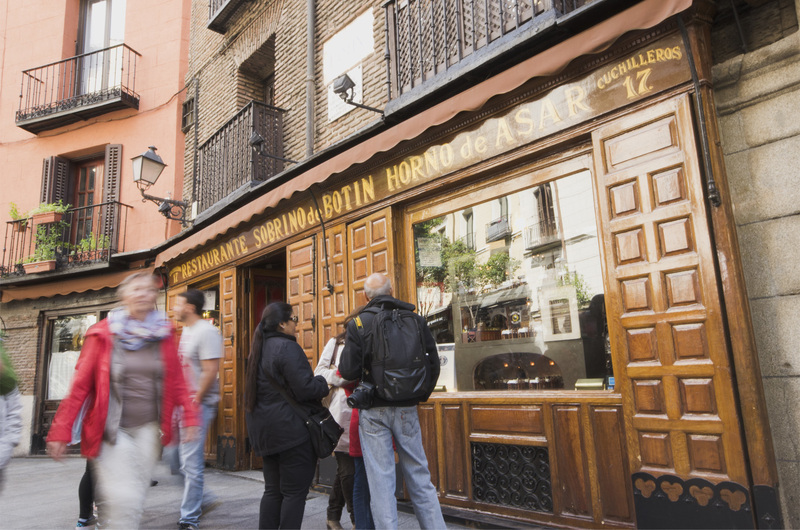 The proof is in the city walls, the tiniest to largest churches that seem to spring up out of nowhere along the streets, and even the Segovia viaduct and the Puerta de Toledo that mark the district limits. 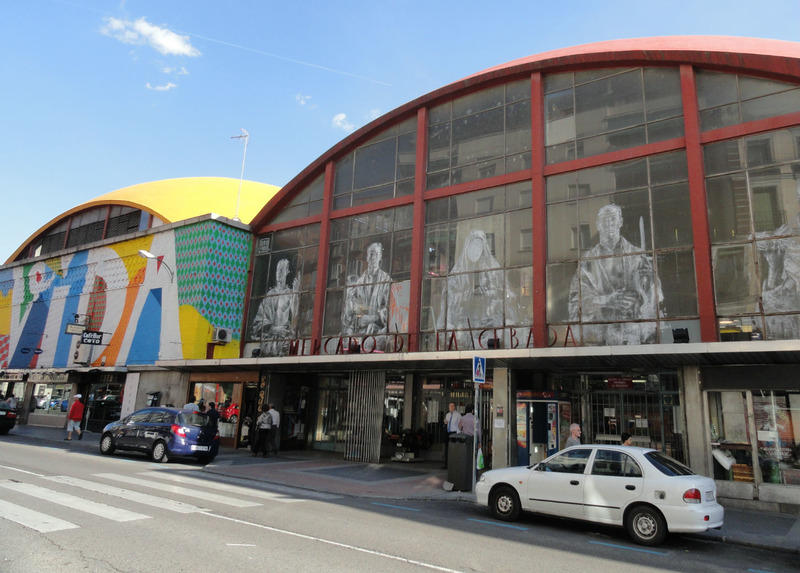 The Mercado de la Cebada, one of the biggest markets in Madrid, is the perfect fusion of all things traditional and modern that characterise this barrio. 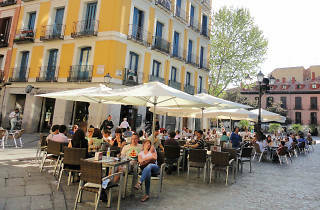 If you stray from the main streets of the district, you’ll discover the squares that are La Latina's hidden treasures. 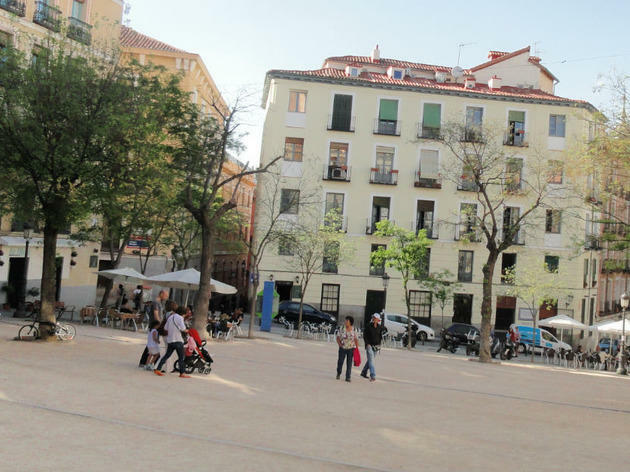 The most well-known is, without a doubt, Plaza de La Cebada, but it’s worth your time to seek out others, like Plaza de La Paja, Plaza del Humilladero, Plaza de San Andrés and Plaza de Puerta Cerrada. The best time to go exploring is on a weekday morning when there isn’t much going on rather than the weekends when they're filled with locals and visitors. If there's one time of the year to enjoy this barrio in all its glory, it’s summer. 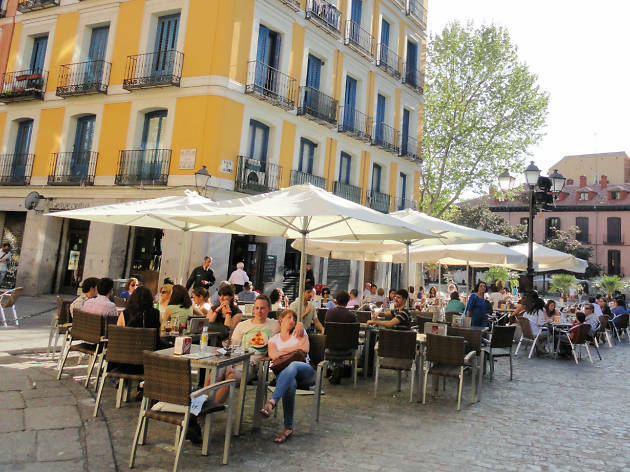 The terraces are in bloom with tables, chairs and umbrellas, the servers are rushed off their feet, and La Latina becomes the stomping ground for locals and well-informed visitors. 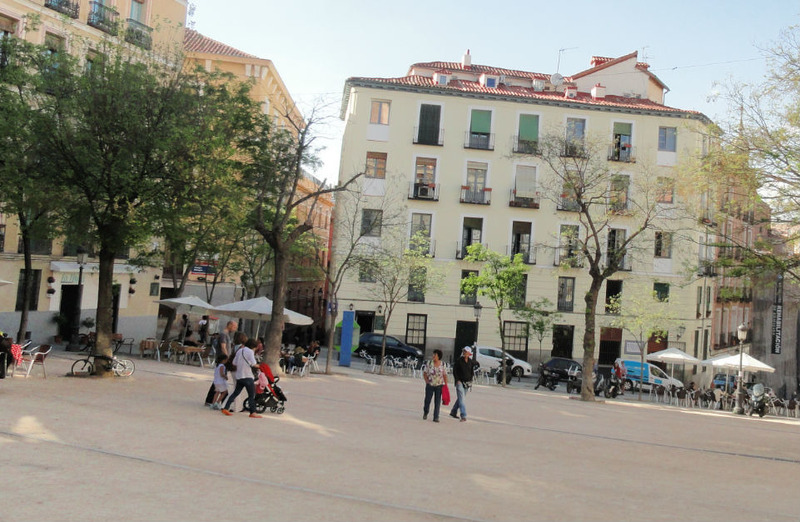 The district's fiestas are known throughout the city: the party for La Paloma on in August with free outdoor concerts, 'chotis' competitions (a traditional Spanish dance in Madrid), a parade, and big celebrations at all the bars that make space outside for their clientele. 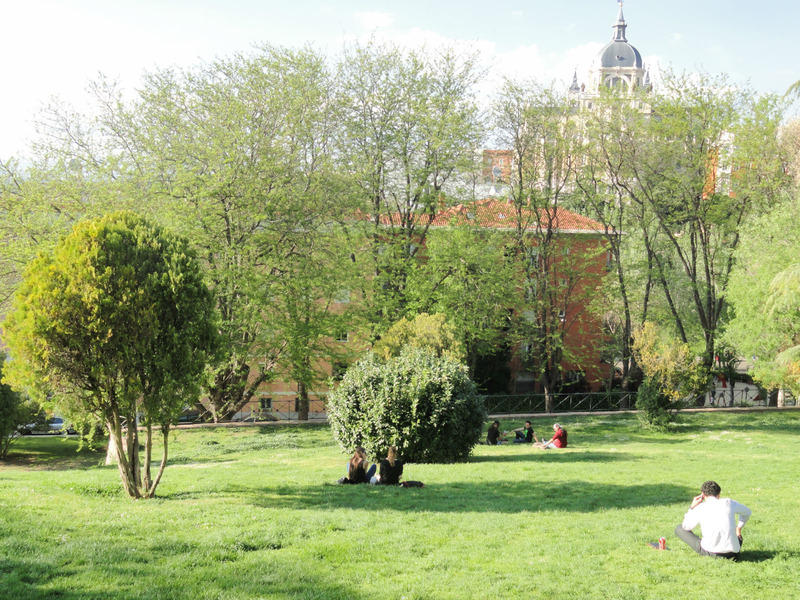 A bit earlier in the year, in May, are the Fiestas de San Isidro, the patron saint of Madrid, at the Vistillas gardens. After an enforced closure thanks to some overzealous licence enforcing by the city council, La Musa Latina is open once more. 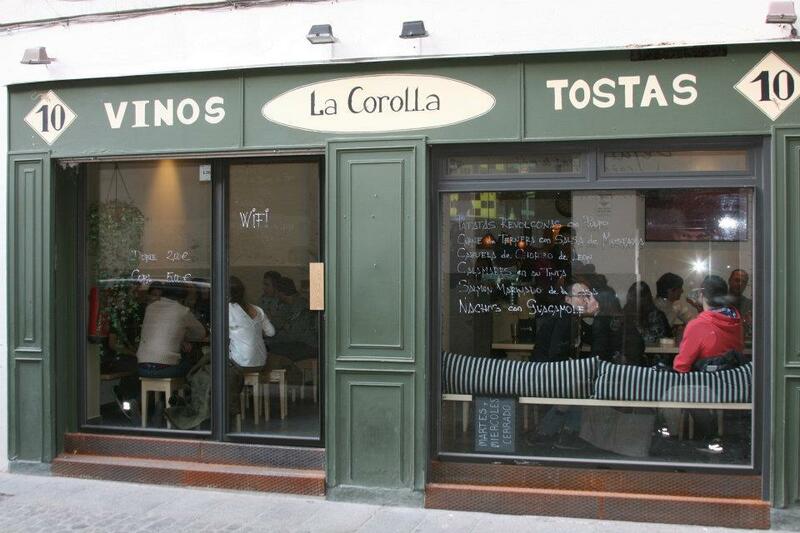 The menu has lost a few favourites, such as the selection of tapas, but there's still plenty here to enjoy. The mixed grill and the roasted vegetables make a great combination, plus there are plenty of indulgent desserts to choose from – go for the chocolate brownie. Waiters are super cool but friendly, and the diners are a mixture of the well-heeled and the clubby crowd. 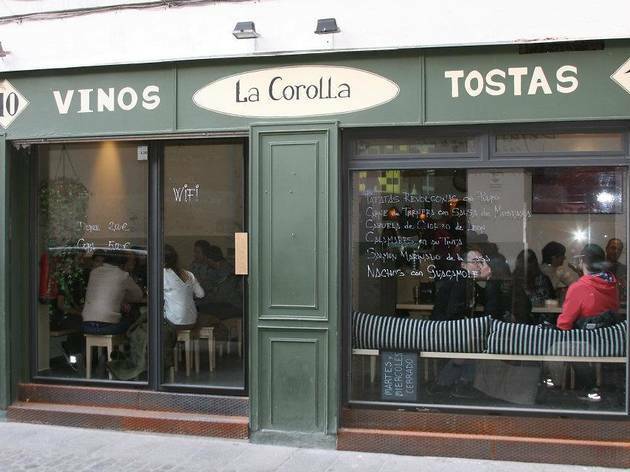 Given the choice between this and its sister restaurant in Malasaña, pick this one – it's roomier. La Latina scenesters in sideburns and retro couture still flock to this three-storey bar/restaurant famous for its rooftop terraza. The food, a mixed array of Mediterranean dishes and barbecued meats, is delicious, if a little overpriced. The carpaccios are melt-in-the-mouth and the pastas, particularly the taglioni marinera, drip with flavour. Discriminating carnivores love El Viajero for the high-quality, hormone-free Argentine meat, while sweet-tooths rejoice over the scrumptious tiramisu. The world's oldest restaurant (with a signed Norris McWhirter certificate to prove it) is still coming up with the goods after nearly 300 years. 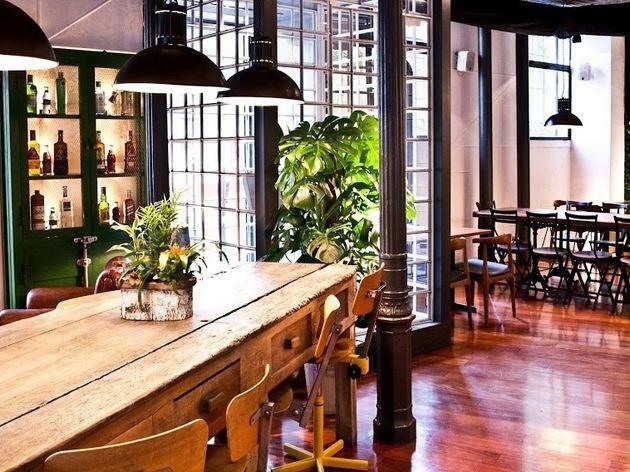 For all its popularity as a tourist destination, its nooks and crannies add up to an atmospheric – if cramped – dining spot. Botín turns out great roasts, including that old Spanish favourite, 'cochinillo' (suckling pig). The 'cordero' (lamb) is also superb, as are the house-named 'almejas' (clams). And, yes, seeing as you asked, Hemingway did come here. 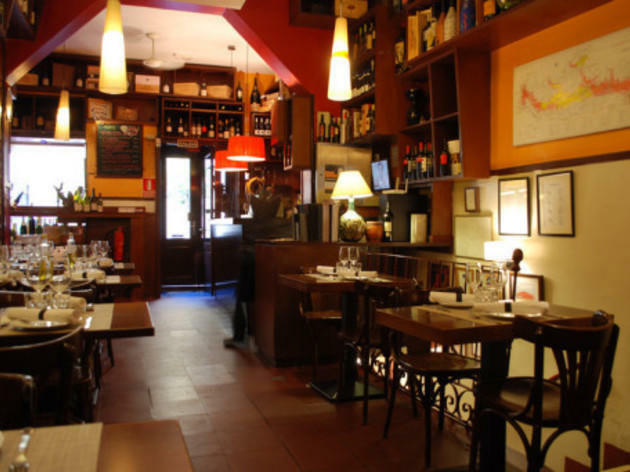 Its name is Latin for 'Madrid', but Matritum has a great selection of tapas and wine from other regions of Spain, most notably Catalonia. Try the 'gambas all cremat' (prawns with burnt garlic) or fabulous canapés such as cabrales cheese with apple compôte or 'sobrasada' – a spicy, spreadable, Mallorcan sausage. 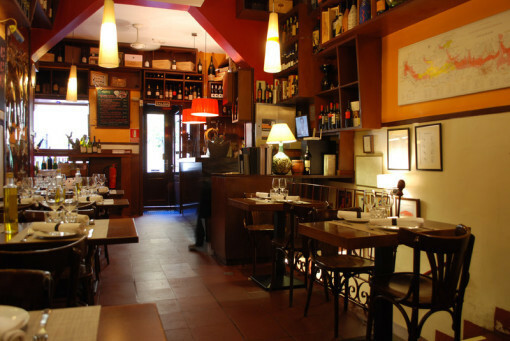 The wine list, too, is dominated by Catalan labels, with many notably good bottles from the Penedès region. 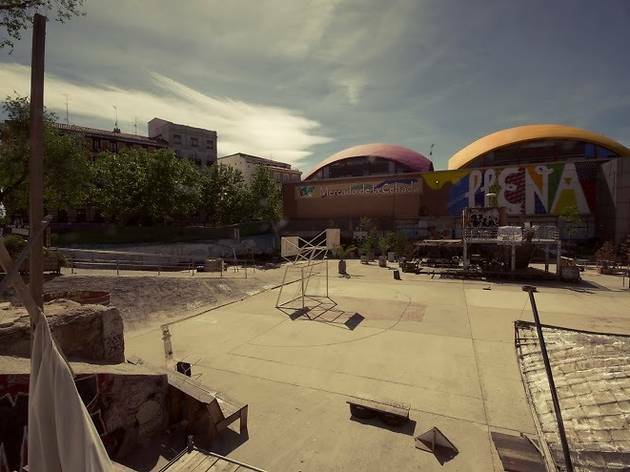 Set in the basement of the renowned Teatro La Latina, this place has been given a dreamlike air, complete with a stage curtain and vintage furniture. Food options include salads, muffins, sausage and a variety of cakes. Varied clientele and lots of quality gin and tonics served from after-work hours till closing time. 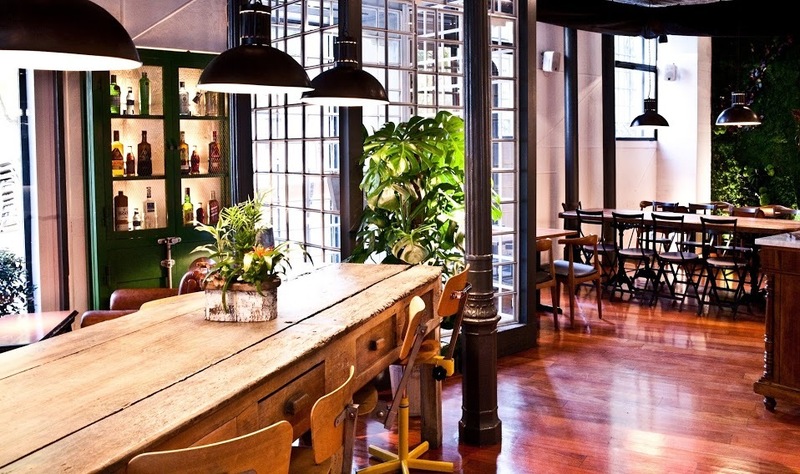 A hip bar for whiling away Sundays with a glass of vermouth in hand. 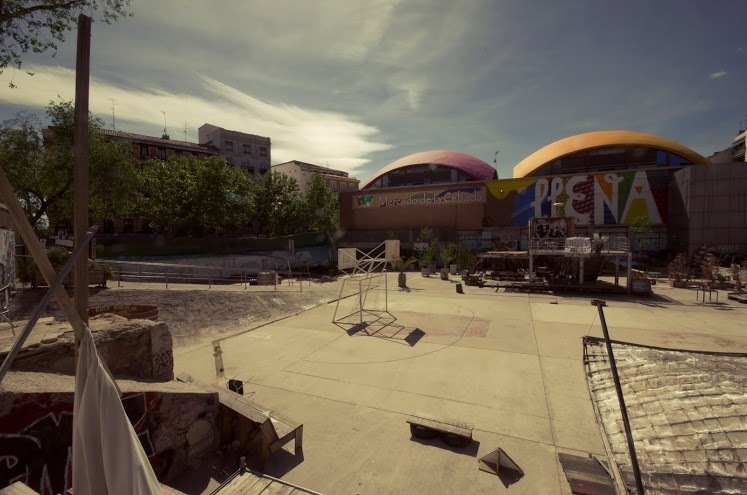 Inspired by the Les Halles de París market in the French capital, and built in 1875, La Cebada – thanks to its proximity to the Puerta de Toledo, one of Madrid's main access points – has been one of the most popular meeting points for Madrid's business- and tradespeople for years. 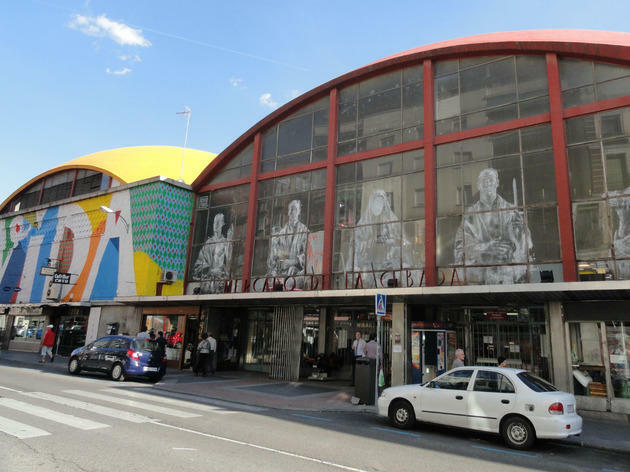 While waiting for a municipal plan to revitalise its business activity, the market has revamped its exterior, covering it in colours and turning it into one of the world's biggest works of street art. 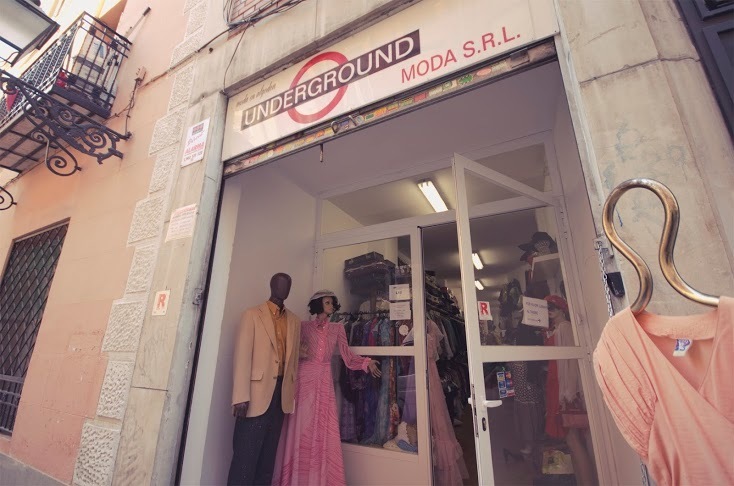 Located in La Latina, Underground is a second-hand clothes shops where you can be nearly sure of finding what you’re looking for among the hippie-style T-shirts, leather jackets, disguises, folk-lore costumes and work uniforms. Here real treasures share the same space as duds, but it’s well worth checking out, even if it’s just for fun. The personal attention given by the owner is one of its strengths. 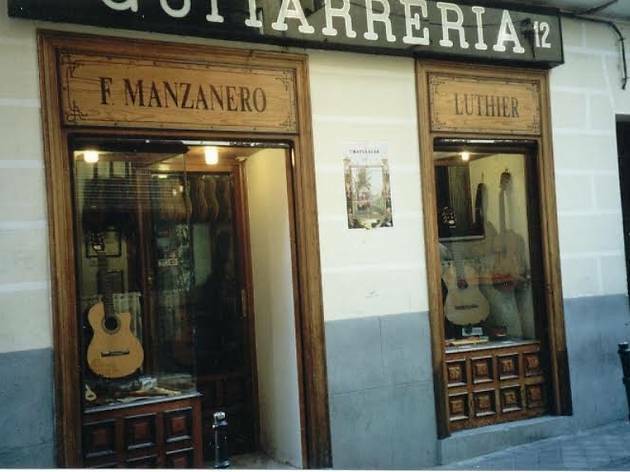 For a real taste of Spanish guitar-making, drop by at this master guitar-maker's shop, which also has a great display of old and rare string instruments. 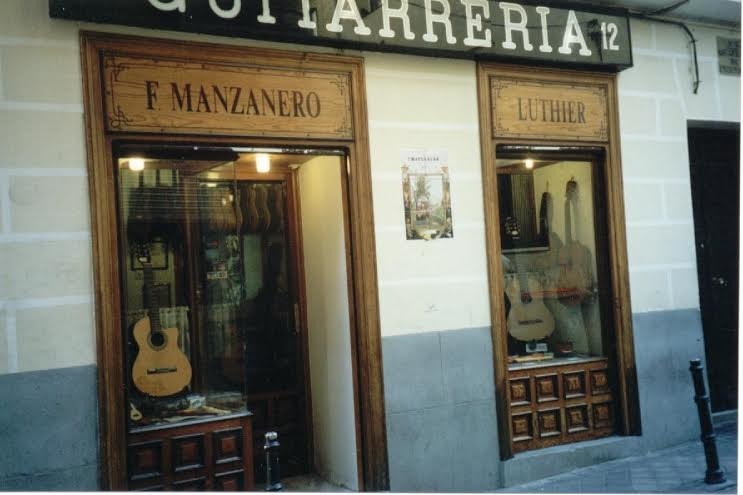 It’s worth visiting the workshop to see how authentic Spanish guitars are crafted. Call first to avoid disappointment. 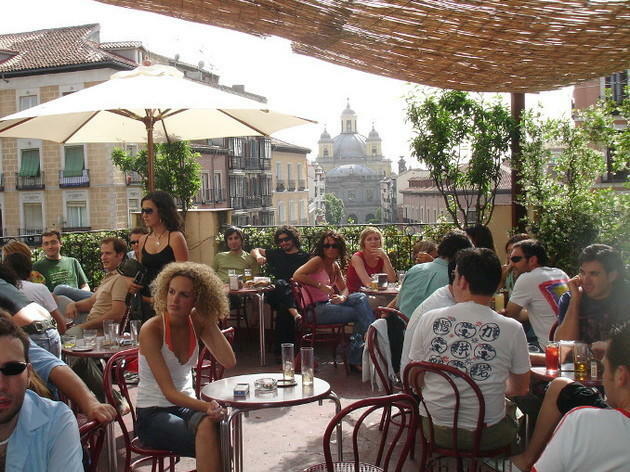 A super-cool terraza set in its own small park. The plentiful tables in the front bar are filled by midnight and the overflow swells on to the surrounding gentle slope of grass. With no complaining neighbours to worry about, the crowd can enjoy the easy sounds of Latin house mixed by the DJ long after other terrazas have called it a night. 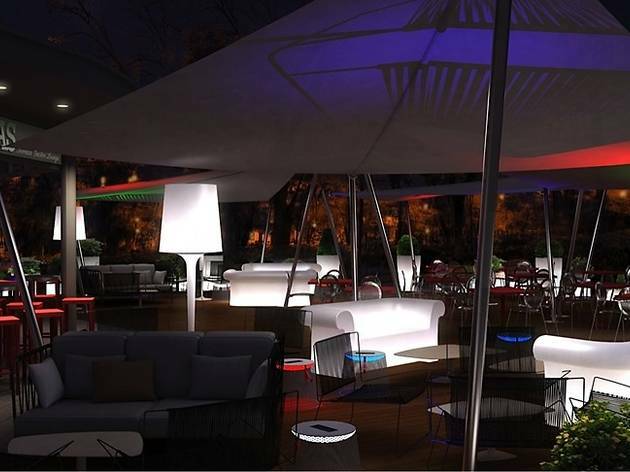 Here you can enjoy a gin and tonic or a relaxing cocktail in the open air without being bothered by the sound of Madrid traffic jams. It’s a haven of peace in the very centre of town. 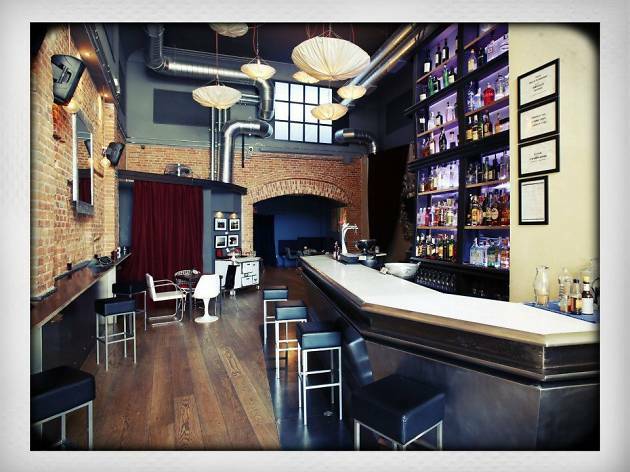 This small venue serves as bar, club and live music venue. 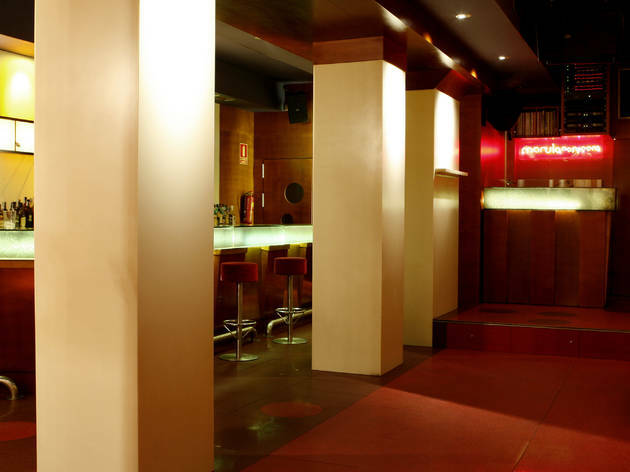 Tuesday nights are concert nights, and there are late-night jams midweek, but the place really hots up at weekends, attracting DJ sessions from local talent such as Héctor Mingues and Antonio Requena. The summertime terrace is a big pull, filling up by midnight and staying that way. It’s a good place to have the last drinks of the night at its neon-lit bar and stay on dancing till dawn among the young clientele. 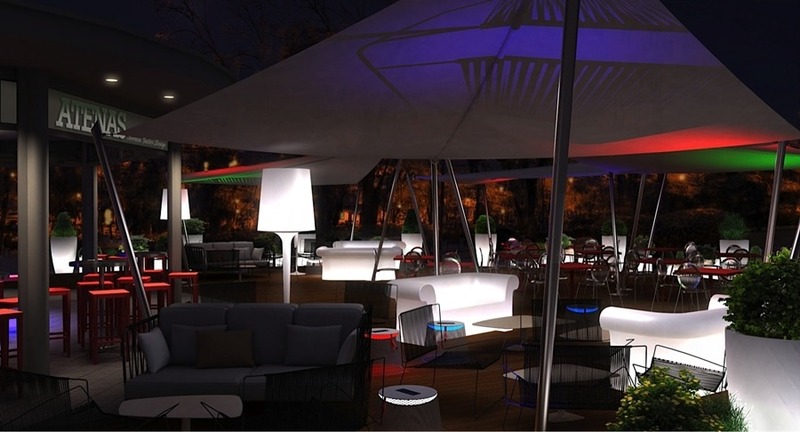 A furniture store that is transformed into a stylish cocktail bar at night. 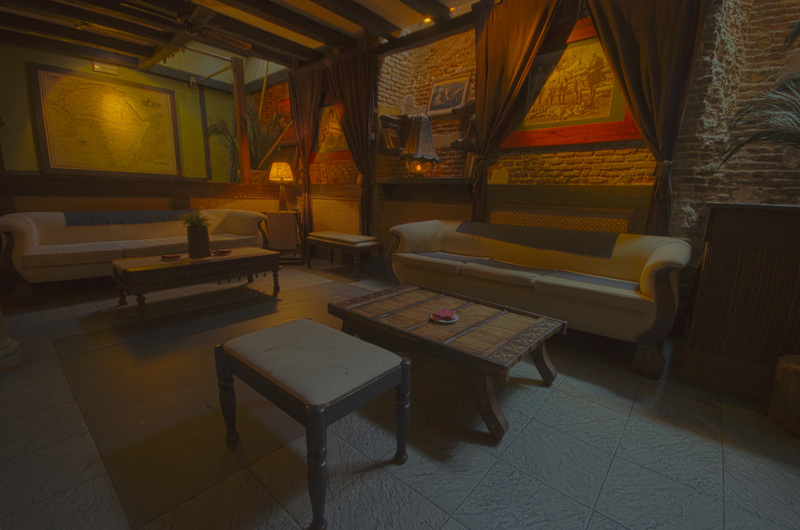 On the lower floor, with African decor, you’ll find plenty of the well-to-do sitting on the sofas, enjoying the soft lighting and cocktails at somewhat inflated prices. 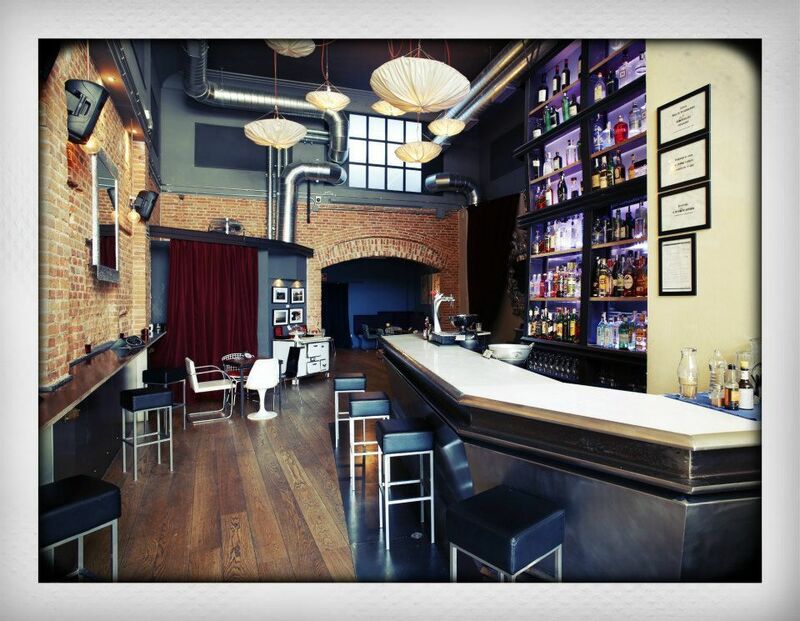 The chameleon concept is not as amusing as it once was, but the place is still popular.